Lapis lazuli is a deep blue gemstone flecked with white and gold. It was one of the first gemstones to be used as jewellery, and it was a stone that was highly valued by the Pharaohs of Ancient Egypt. Lapis lazuli is a highly spiritual stone which works on the throat and third eye chakra. 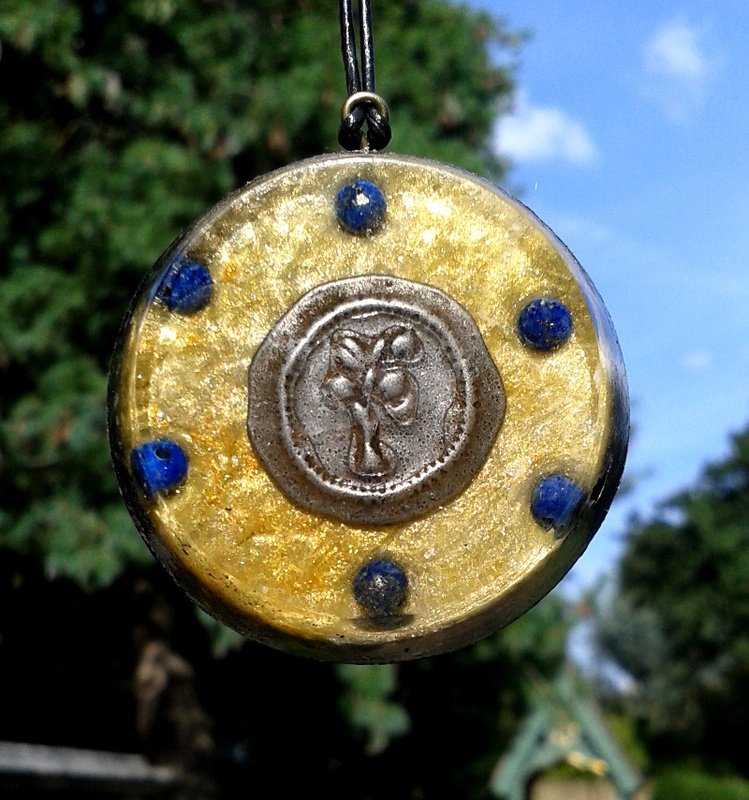 It encourages truth, spirituality and enlightenment, and is useful for stimulating the pineal gland. It has a deep, calm energy which facilitates self-knowledge and self-expression. It can also be used to enhance psychic abilities and bring about profound spiritual insights. Because it is such a highly spiritual stone, lapis lazuli can shield the wearer from negativity. It can be worn to guard against psychic attacks, as well as dispelling inner negativity – it is one of the best crystals to use to diminish stress and anxiety. Lapis lazuli reveals inner truth and promotes self-awareness and self-acceptance. 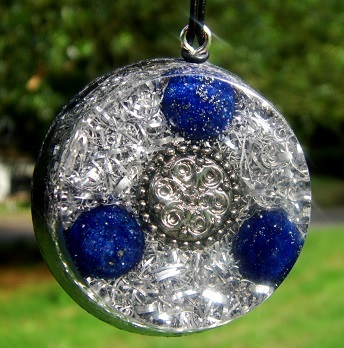 When meditating with lapis lazuli orgonite, you may find that suppressed emotions and memories surface. Since lapis also diminishes stress and anxiety, this process is usually peaceful and provides great clarity and self-growth. Lapis lazuli also encourage honesty and compassion when dealing with other people. Lapis lazuli expands awareness, stimulates enlightenment and enhances dream work. Place lapis lazuli orgonite over your third eye when meditating in order to become more in tune with your intuition and innate psychic abilities. 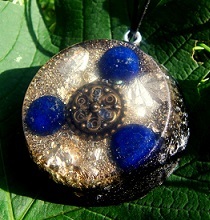 Lapis orgonite can be a powerful tool for spiritual journeying and for tapping into your spiritual power. If you want to buy a lapis lazuli orgonite pendant, including the ones pictured on this page, head over to the lapis lazuli orgonite section on the Orgonise Yourself Store.